See What's behind you when backing up! 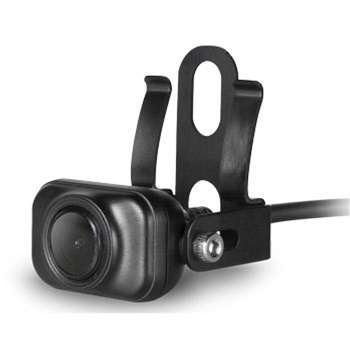 The Garmin BC 35 Wireless Backup Camera takes the worry of what’s behind you away while seamlessly integrating with Garmin Fleet, Garmin DezlCam 785, and the Garmin Dezl 780 units. 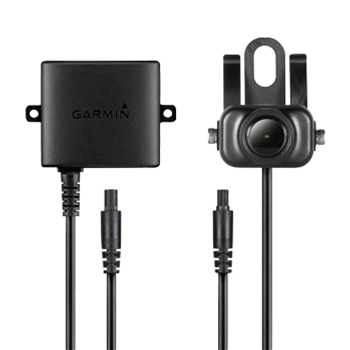 To add to the ease of installation the BC35 can be wired to your reverse lights so it automatically appears on your Garmin device when the vehicle is put into reverse, and then goes back to your navigation screen when put back into gear. You also have the option to wire this camera to the vehicle so you can toggle between navigation modes and the camera any time you wish. Built for use with bigger trucks, the BC35 has a wireless transmitting range of up to 45ft., however, will vary based on installation placement of the camera. Angled views up to 160 degrees wide, show what’s behind you such as pedestrians or obstructions keeping your field of view open to potential hazards. Multiple camera support allows up to 4 cameras to be used at one time making it easier than ever to place cameras in different locations so your field of view grows. The BC35 was built with a rugged design to withstand harsh elements that Mother Nature throws your way as well so the external mounting of this device will not harm it! 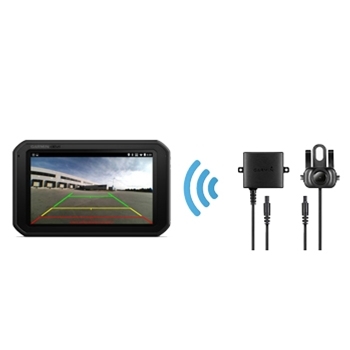 The Garmin BC35 Wireless Backup Camera is a great addition to your compatible Garmin device!